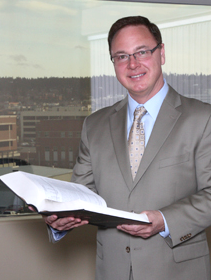 Spokane Personal Injury Lawyer | Tim Nodland | Free Case Evaluation! "I have served injured persons for the better part of three decades. My pledge to you is to handle your claim with honesty and integrity, putting forth our mutual values as I present your claim to the other driver's insurance company. I am able to settle most claims out of court." ©2019 Timothy Nodland and Associates. All rights reserved.